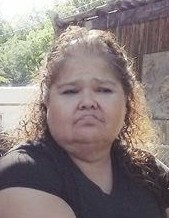 Vicky Lynn Martinez passed away March 23, 2019. She was born August 31, 1960 in Ogden, Utah to Isabel Valdez and David Montes . She married Martin J. Martinez; later separated. She had a special relationship with George Valereo.for a few years. She had three children: Lynn (JJ) Ray of St George, Utah; Tereasa Martinez of Ogden and Martin Martinez, II (deceased). Siblings: Lisa(Heath) Uncasam; Neola, Utah; Thomas Montes, Roosevelt, Utah; Anthony (Kami) Montes, Ogden, Utah; Roddy (Mary) Montes, Whiterocks, Utah; Stephanie (Carl) Christensen, Whiterocks, Utah; Jennifer (Andy) Montes, Salt Lake City, Utah; Davie Montes, Myton, Utah; Marcelino (Esperanza Montes, Neola, Utah. Family and Friends will gather for a Wake to Celebrate Vicky's Life on Friday, March 29, 2019 at 4 pm at the Monties home in Neola, Utah. Funeral Service will be held Saturday, March 30, 2019 at noon at the Neola Utah Community Building. Interment – Ft Duchesne Cemetery.